With its built-in audio interface and out-of-the-box Rekordbox DJ/DVS functionality, Pioneer's value-for-money new DJM-250Mk2 has a good stab at redefining what an entry level DJ mixer should be like. 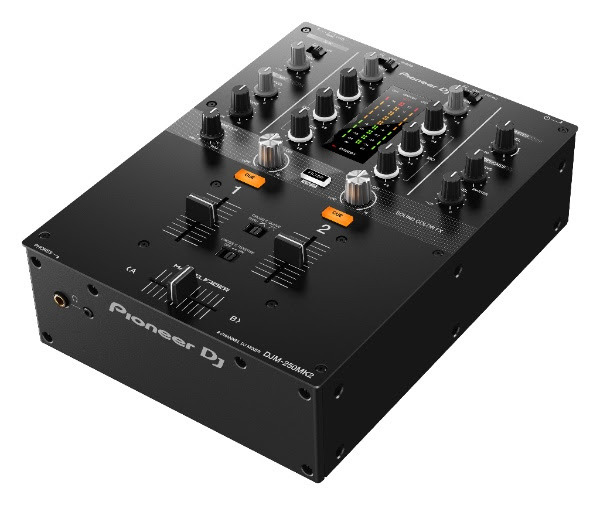 Pioneer DJ has replaced the baby in its mixer range, the DJM-250, with the new DJM-250Mk2, a compact mixer that comes with a built-in sound card and Rekordbox DJ and Rekordbox DVS in the box. It also boasts a Magvel pro crossfader plus per-channel two-parameter hardware filters. With the same size factor as the XDJ-700 media players, it is designed for bedrooms or more compact set-ups, and can be seen as a modern take on the classic two-channel mixer design. Standout features for us include the ability to run a mic and aux at the same time in addition to the two main channels, and the full three-band isolator EQs. We also like the fact that both technologically and licence-wise, it is ready for Rekordbox DVS (no external audio interface or extra software plug-ins needed; indeed, the bundled software along sells separately for €248). That said, you'll have to provide your own Rekordbox timecode vinyl if you want to use it with turntables. 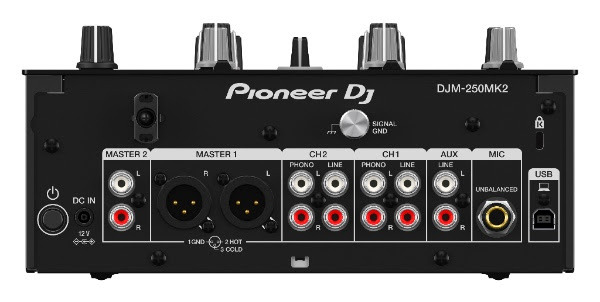 Or, you can just plug into your computer to mix Rekordbox music using Pioneer players such as the XDJ-700s, effectively giving you full hardware control over Rekordbox DJ software, as if your media players and mixer were a DJ controller. The DJM-250Mk2 is available this month and will cost €349. 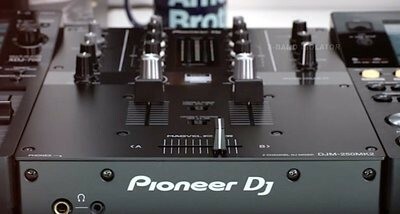 We'll bring you a full review as soon as we can, meanwhile, find out more on the Pioneer DJ website.